We pay careful attention to our playground sand product for Collingwood projects, so you can feel confident that children can play safely. If you are installing or refreshing a playground in the Collingwood, Ontario area, one material that you will need is playground sand. Since children are counting on you to make sure they are safe while having fun, you can trust us at Flesherton Concrete Products for the perfect composition. We take our playground sand very seriously because we know this isn’t the type of project where cutting corners is acceptable. 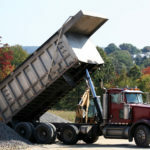 The reality is that we take all our products seriously because our 30+ years of providing aggregates have shown us that there simply isn’t any other way to operate a family-owned business. Our reputation for quality, not to mention superior customer service, isn’t something we take lightly. We believe each customer deserves expert care, whether they are in the private or public sector. So, if you are working on a playground in your backyard for your children or a city park for the community’s children, you will receive the same attentive service. The key to quality playground sand is consistency. There shouldn’t be any stones or components that would be uncomfortable to a kneeling child. It should also be free of contaminants that could endanger their health. We pay careful attention to our playground sand product, so parents can feel confident that their children can play safely. If you would like more information about our playground sand for a children’s play area or for the other practical uses for this product, don’t hesitate to contact us. We’ll be happy to help with determining how much is needed and set up a delivery schedule that fits your project timeline. At Flesherton Concrete Products, we offer playground sand to customers in Collingwood, Wasaga Beach, Flesherton, Orangeville, Owen Sound, Barrie, Stayner, Mulmur, Shelburne, and Mount Forest, Ontario.